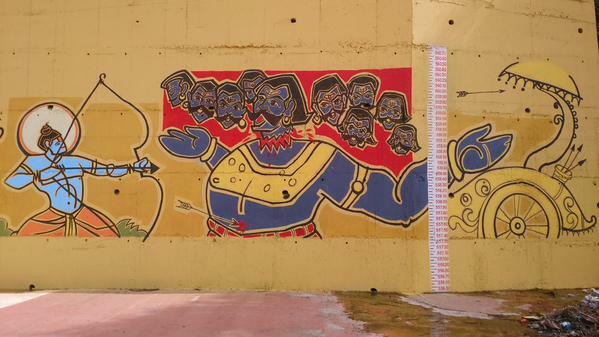 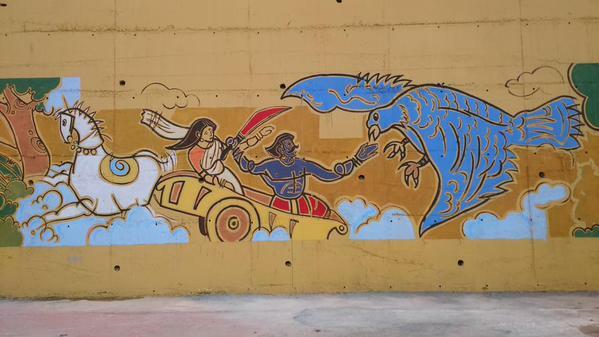 From officers of water resources dept, Sapat tea co & painters for this beautiful gift to Nashikkars. 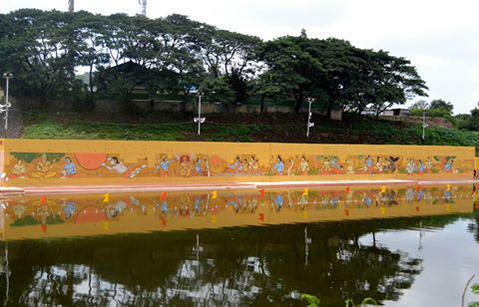 This painting showcase how City is named after Nasika (nose of Shurpanakha). 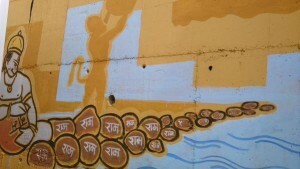 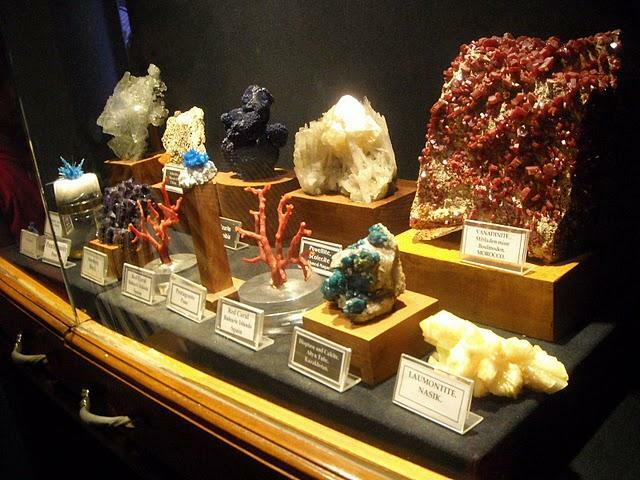 Another source of the name is NavShikha( 9 peaks surroundg the city). 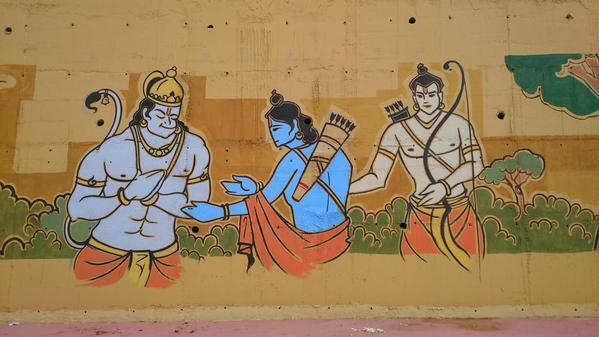 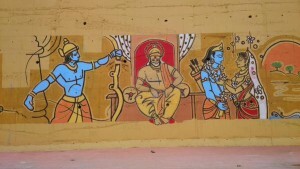 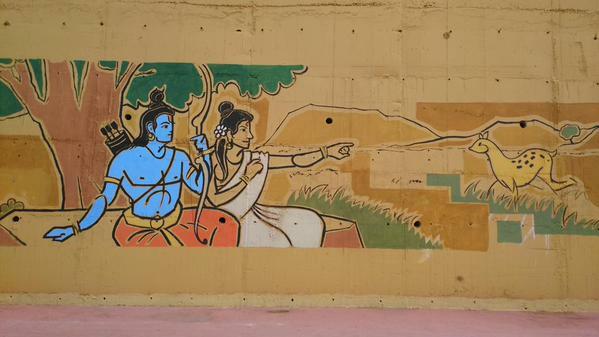 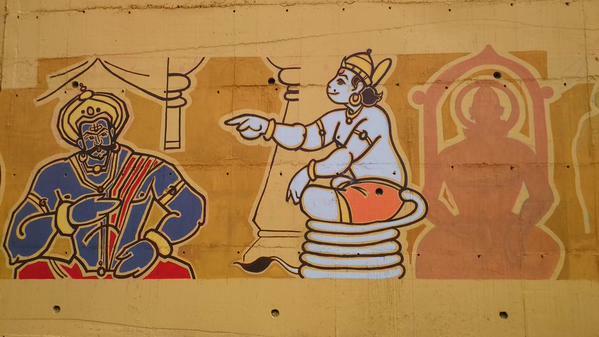 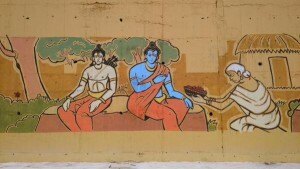 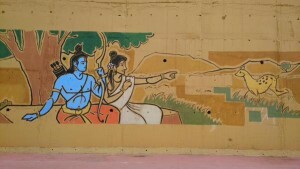 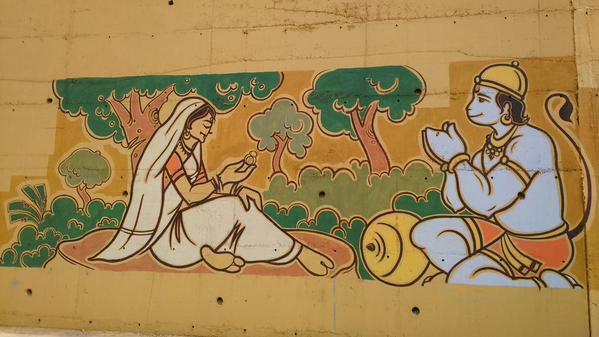 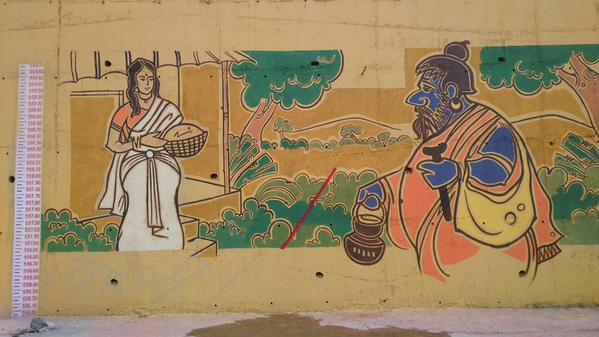 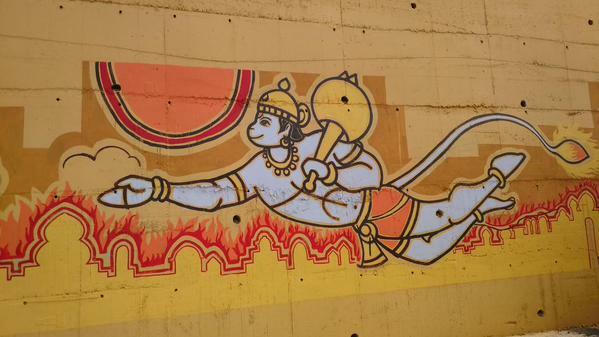 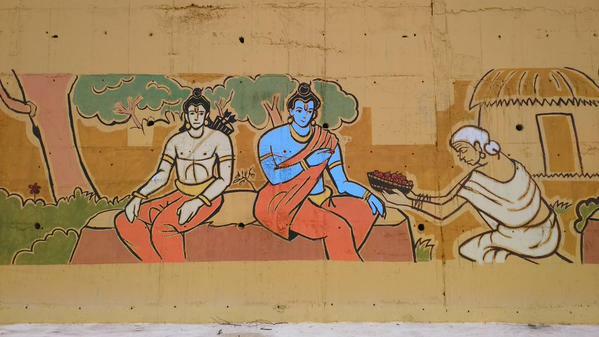 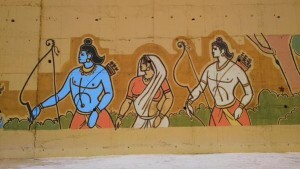 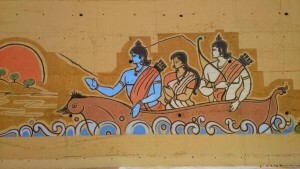 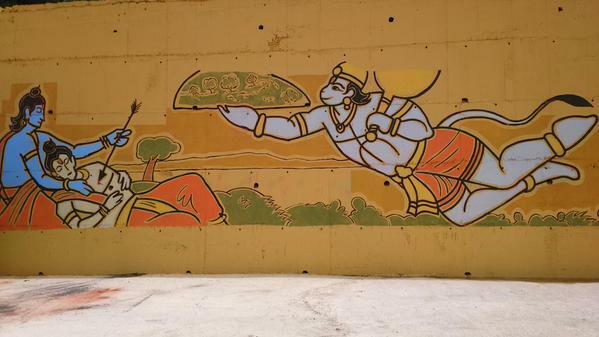 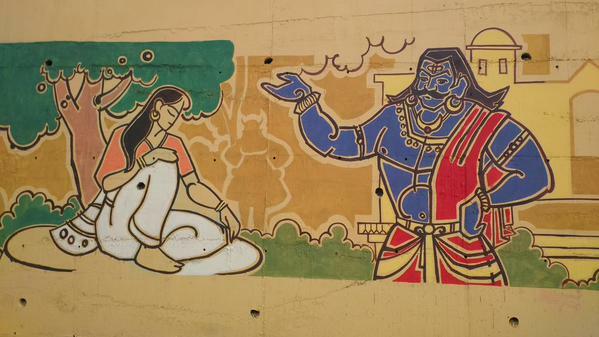 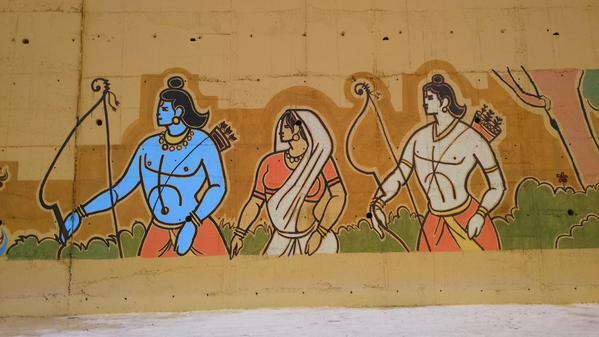 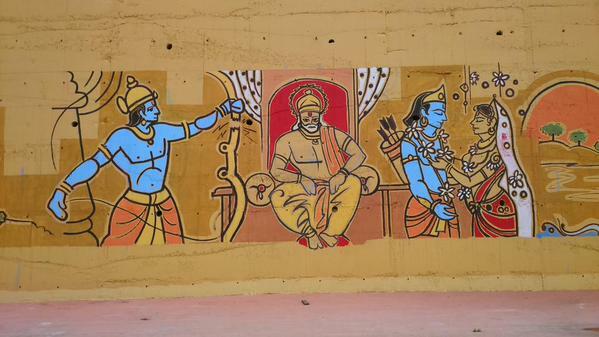 In some part of painting explain how Lord Ram stayed at Nashik during Vanvas with Seeta & Laxman. 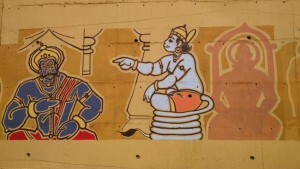 Story of seetaharan is too well known to be repeated. 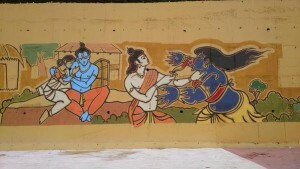 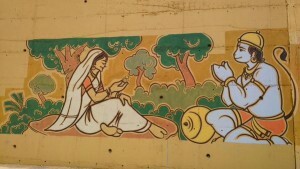 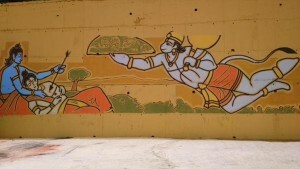 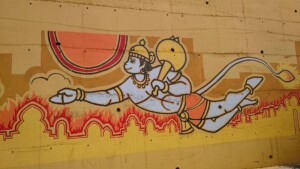 All this painting can be seen at Talkuteshwar ghat Nashik. 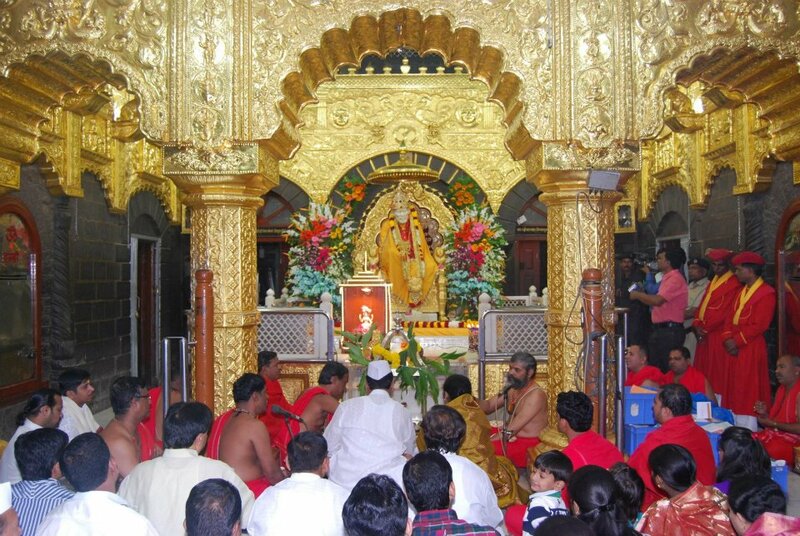 Previous story Forest officers captured a two-year-old leopard that had entered the Ashwin Society in Upnagar area on Nashik Road.